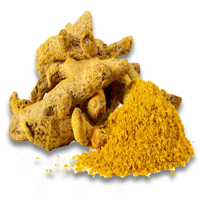 Turmeric can be grown in diverse tropical conditions from sea level to 1500 m above sea level, at a temperature range of 20-30°C with an annual rainfall of 1500 mm or more, under rainfed or irri­gated conditions. It will grow luxuriantly in shade if not too dense, but it produces larger and better rhizomes in the open ground exposed to the sun. Though it can be grown on different types of soils, it thrives best in well-drained sandy or clay loam soils. Gravelly, stony and heavy clay soils are unsuitable for the development of rhizomes. The crop cannot stand water logging or alkalinity. Turmeric is a shade tolerant crop.